A couple of years ago I bought in a second hand record store Jerry Snell`s first album ` life in the suicide riots`. The CD freaked me out combining free improvisation with elements of jazz, avant-garde, electronic with some spoken word, intense / insane ramblings. I never heard anything like this before. Then six months later, I discover Steven Jesse Bernstein. Back to our story. It`s a warm Sunday afternoon. I`m in a second hand record store browsing through the cheapy bin section. The bin was full of CD`s for a dollar or 2. 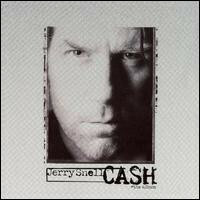 Most of the times it`s crammed with crap, except at the bottom of the bin I find this Jerry Snell album titled `cash`. I didn`t know he released more than one CD (3 albums in fact). I buy it, go back home fix myself a coffee, sit down and away we go. WOW! This is a different listening experience. The music is a mix of pop rock, folk, rock and psychedelic bluesy numbers. Feels like a three-way jam session with Neil Young, Bob Dylan and Tom Waits. There`s a couple of songs that sounds totally out there schizophrenic / insane / claustrophobic anthems. If anyone remembers `shake dog shake` (The cure – The top album) and `21st century schizoid man ` (from King Crimson – in the court of the crimson king album) then you know what I mean here.